Looking for a Pleasure Boat you can Fish out of or a Fishing Boat with versatility? 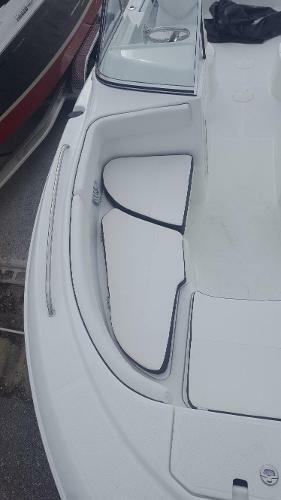 You found it in the Clearwater 2200 Dual Console! The full windshield allows you to stay out of the wind, the notched bow seats allow for fishing the rail in the Bow and Stern. Twin Live-wells can be used as coolers for the days your not fishing. Room for an enclosed head or used as huge storage locker. 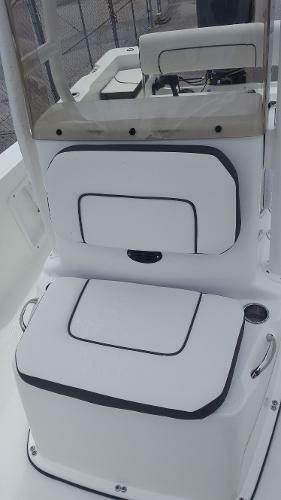 With seating for 8 comfortable you can take the whole family for a day on the water. 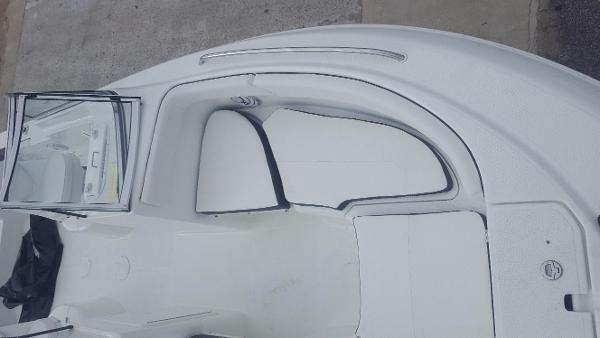 Priced with a 150 Mercury and Tandem axle Trailer. This is one versatile 19 ft Boat! With T top! 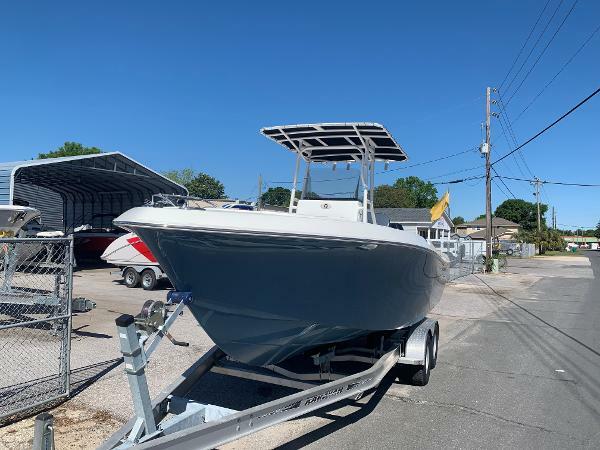 The 1900 Clearwater is a Hybrid Style boat with a draft of only 12-14" you can go anywhere you want in the bay, while still having enough flare in the bow to go offshore and catch some snapper. With a completely foam filled stringer system and no wood in the boat the ride is awesome! Come see it for yourself today before its gone! Powered by a 115 4 stroke with a 5 year warranty. 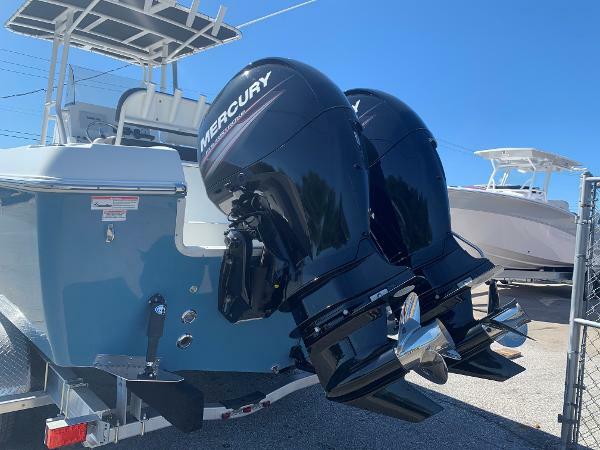 This 23 Ft. center console from Clearwater is paired perfectly with the power of twin Mercury 150's! This boat has everything you need to hit the water today! 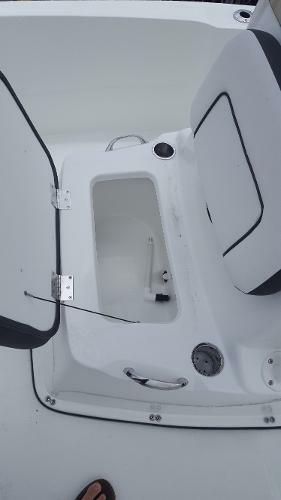 This package includes a Simrad Go9 GPS/Fish finder, VHF radio and stereo system. 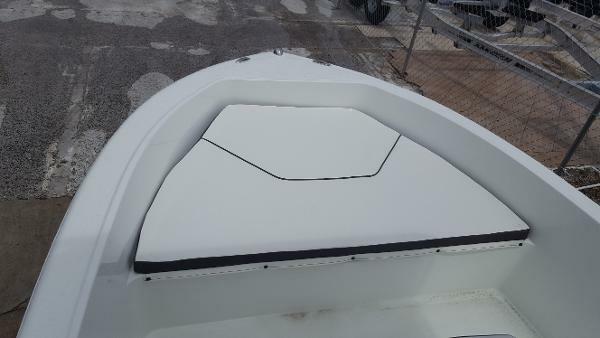 In the forward part of the boat you will find a large anchor locker, 2 insulated fish boxes/storage compartments and a set of comfortable bow cushions making for a great layout deck. 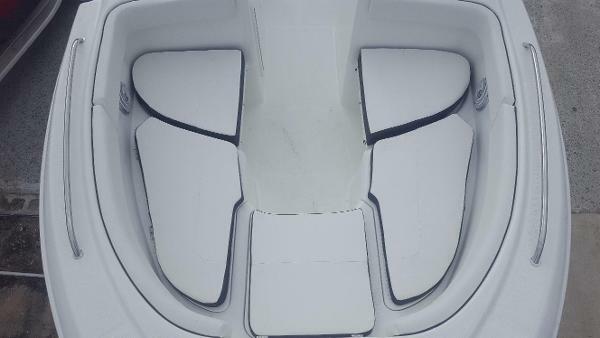 The center console is equipped with a forward box under the seat, windshield and all the electronics you will need. Under the console is a large compartment for use as a head with a removeable potty. 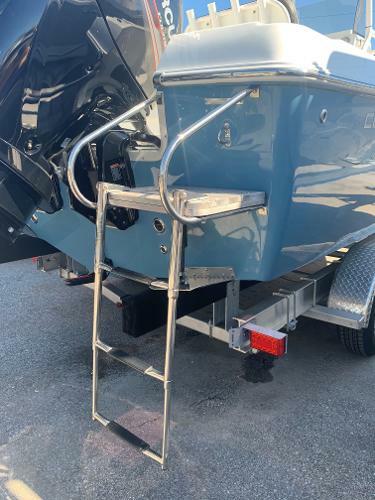 Keeping the boat cool is a stong powder coated T-Top with plenty of rod holders. A Large lighted live well, fresh and raw water washdowns and plenty of rod storage makes this boat a great family/ fishing boat.